Welcome to my Instagram Shop page! Just about every outfit I post on Instagram, you can shop two ways! Come to the this page! Anytime you see something I post on Instagram that you would like product details on, simply head to this this page on the blog! Click on the picture below with the product featured, and you will be redirected to a page listing the specific products I linked. From there, simply click on the product and it will take you directly to that retailers website! You can sign up for LIKEtoKNOW.it. 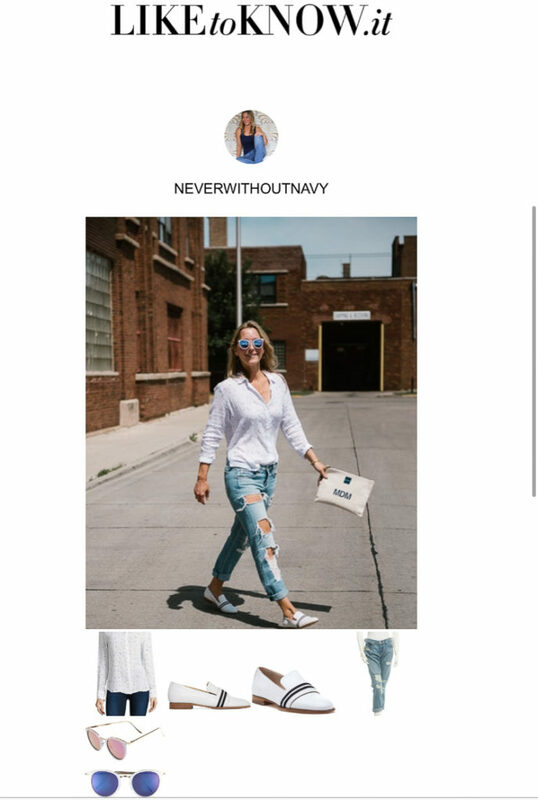 LIKEtoKNOW.it is a feature that allows you to shop all of your favorite fashion blogger’s photos! Rather than having to come to the blog all the time or having to ask me (or any fashion blogger!) “where is that from?”, LIKEtoKNOW.it sends full outfit details straight to your inbox once you like the photo on Instagram. LIKEtoKNOW.it has also has an app allowing you to shop a screenshot of a blogger’s photo. This provides even faster access to outfit details! There are two ways to use LIKEtoKNOW.It One, you can start using LIKEtoKNOW.it by signing up here. The on-line form takes only about a minute to fill out. In the form, you can control how often you would like to receive emails featuring the product details of the photos you like. The other way to use LIKEtoKNOW.it is to download the LIKEtoKNOW.it app to shop your screenshots. There is a short video here that gives a nice overview of this feature. The photo below shows what the email or app feature will look like once you open it. From here, simply click on the product image and it will direct you right to the shopping source! This feature is super easy and convenient to use!